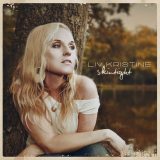 When I saw Liv Kristine’s name on the cover, and knowing that her band Leaves’ Eyes is about to embark on a North American Tour, I thought we are in store for the new shot of symphonic gothic metal. Just shows how much, or little, I know. Instead, Skintight is another solo effort by Liv, a famous Norwegian singer, who fronts Leaves’ Eyes and formerly did so for Theatre of Tragedy, but it has nothing to do with the Leaves’ Eyes aesthetics. Sure enough Liv’s husband Alex Krull produced the album and Thorsten Bauer (also of Leaves’ Eyes and Atrocity) plays a whole slew of instruments and helped composing some of the tracks. My original misconception certainly had something to do with Skintight coming out on Napalm, where Leaves’ Eyes reside, Liv trading in her bigger name Roadrunner earlier releases for perhaps more personal attention to Skintight from the smaller label. Being on Napalm, but having little to do with any kind of metal, you have got to take Skintight for what it is. If you are able to do that, you are bound to extract some enjoyment out of the album. If there is such a notion as “chick flick” to describe a certain kind of movie, then Skintight has to have “chick rock” label attached to it, as in soft female fronted rock, mostly concerned with feelings being thoroughly expressed than rocking your world. Hell, my 10 year old is in love with it, and, frankly, I honestly wish more teenage girls would rather listen to this quality soft music than the crap pouring off from MTV or espoused by all those today-I-am-a-star-tomorrow-I-am-a-nobody acts. The title track is a legitimate catchy rhythmic single, Train to Somewhere brings a touch of weight and a whole bunch of rebellious attitude, and Boy at the Window is even more full-bodied gothic rocker with some colder synth lines woven in. Mostly, however, Skintight is a well-composed café music, the kind any metalhead won’t be caught dead with. Being a daughter and a mother, Liv pours a ton of caring and doting emotion into Twofold, Wonders and balladic closer The Rarest Flower, especially given the fact you can hear the songs’ meaningful lyrics exceptionally well. The “complaints” are actually centered when Skintight unnecessarily tries to grow balls, heavier guitar in Emotional Catastrophies sounding rather ZZ Top. At the same time, the quality instrumentalism shows through on flamenco guitar lead in Life Line. More importantly, it seemed to me that some traditional song structure stunts many a piece development here, making the songs predictable. Also, needing to pour her tenderness into the tracks, Liv does not really reach for the whole vastness of her soprano range, having always to play it soft. This is a quality effort which definitely belongs more in the mainstream Borders aisle than in some stinky metal basement dungeon or even simply Main Street music store with a metal/rock slant. On a warm fall day, by the brook, with a cup of coffee in hand, those teenage girls will have a quite a few more converts join them, convinced of Liv’s talents.